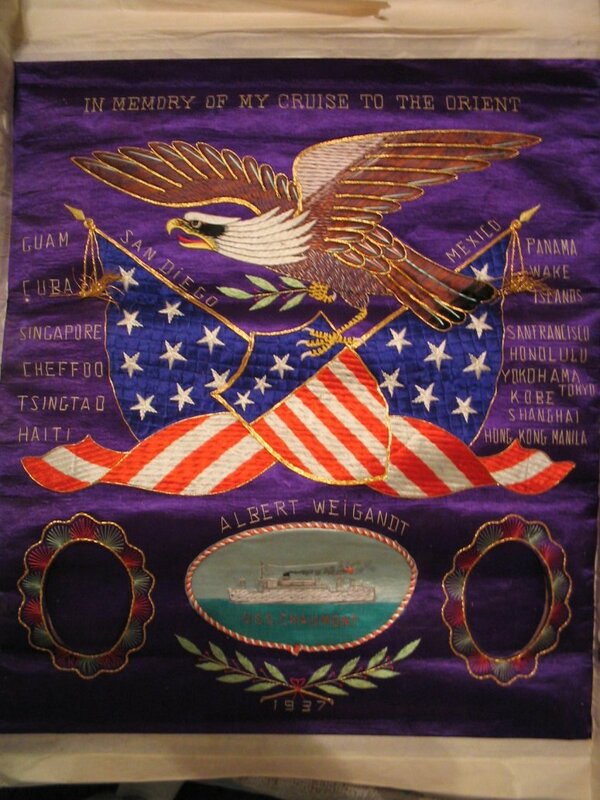 Photographs from www.navsource.org. All are thumbnail images, click to see higher resolution versions. 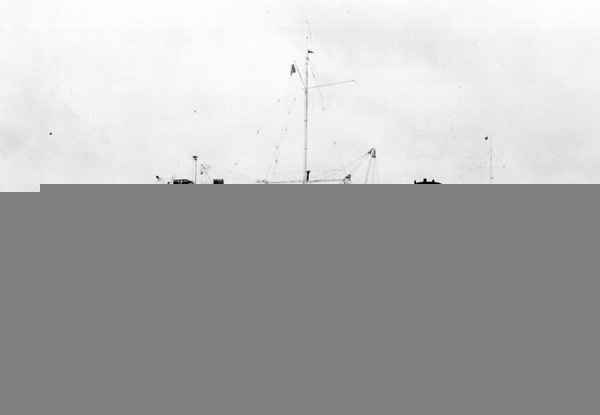 Chaumont (AP-5) moored to a landing with troops on deck in the 1920s or 1930s. 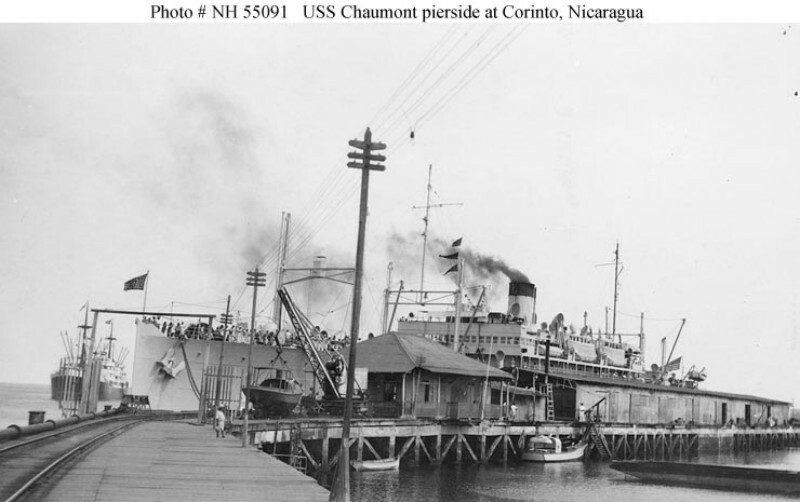 Chaumont (AP-5) pierside at Corinto, Nicaragua, in the 1920s or 1930s. 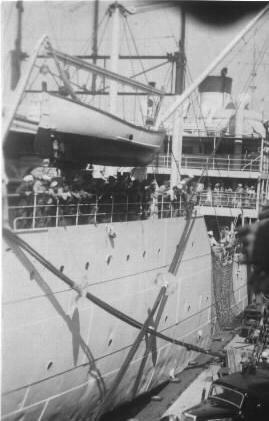 Chaumont (AP-5) departing San Diego, 29 August 1937, loaded with Marines bound for China. 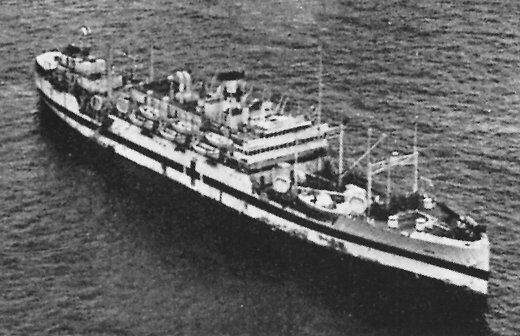 Chaumont (AP-5) departing Manila Bay, 12 October 1937, bound for Shanghai, China. 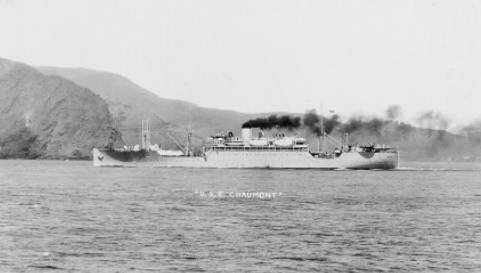 Photo of Albert Weigandt F1/c's souvenir of Chaumont's voyage to the Far East in 1937. 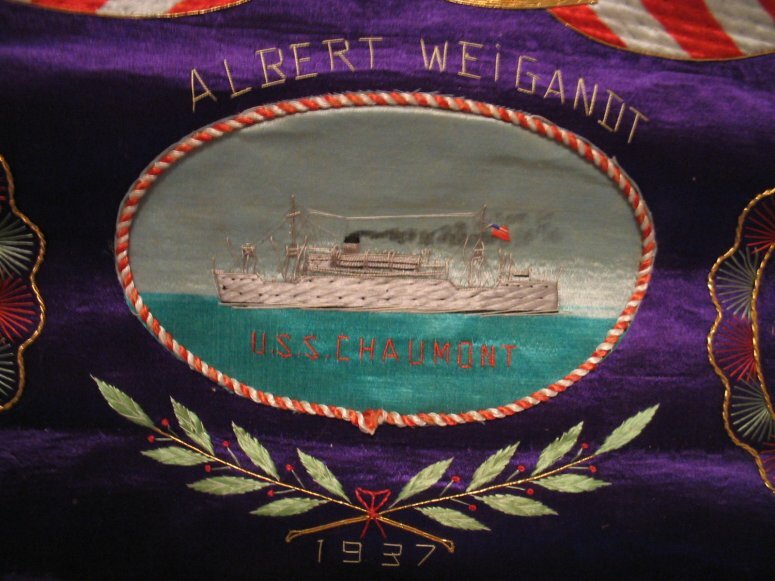 Close-up view of Albert Weigandt F1/c's souvenir of Chaumont's voyage to the Far East in 1937. 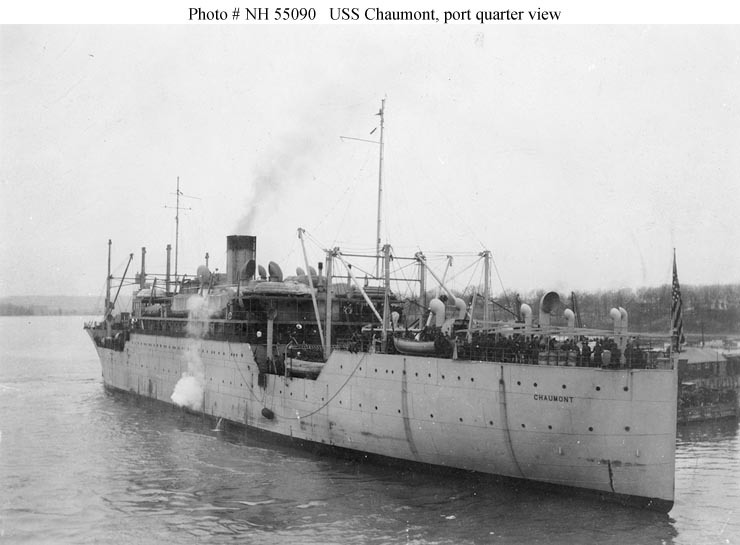 Chaumont (AP-5) underway, date and place unknown. 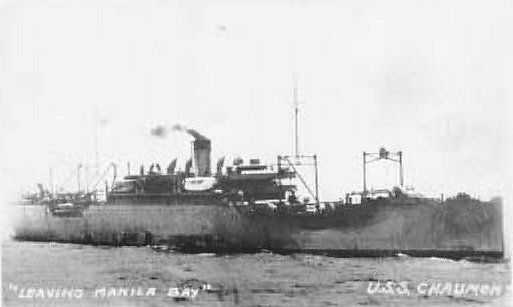 Samaritan (AH-10) at anchor, 13 March 1945, place unknown. Samaritan (AH-10), 13 March 1945, place unknown. 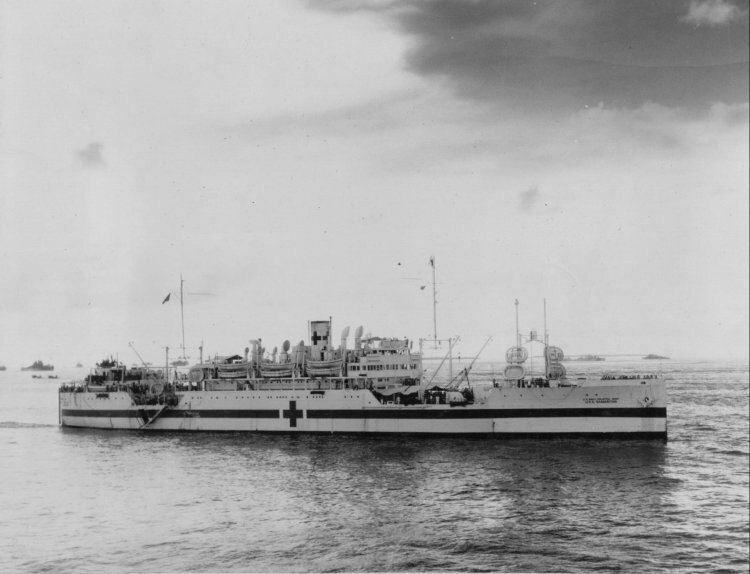 Samaritan (AH-10) at anchor, 30 March 1944, place unknown. Samaritan (AH-10) underway, date and place unknown. Samaritan (AH-10) off Iwo Jima in February 1945. Mount Suribatchi is in the background. 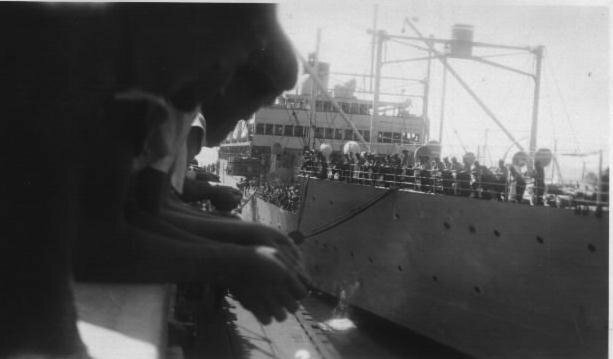 Beyond the hospital ship are LST-755 and LST-764 in weathered pattern camouflage. 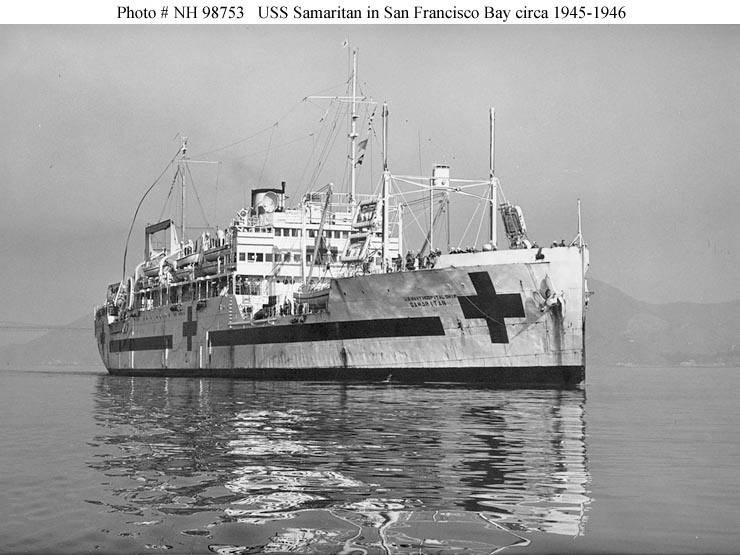 Samaritan was painted white with a green hull band and red crosses on sides and funnel. US Navy photo from DANFS. Samaritan (AH-10) off Iwo Jima in February 1945. 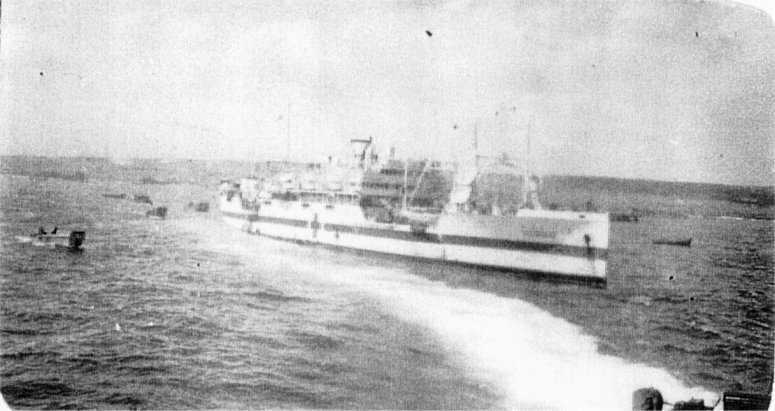 LSM-46 has just shoved off after delivering wounded Marines to the hospital ship and is returning to the beach to collect additional wounded Marines. Photo was taken from LSM-46 by Lawrence A. Miller QM2/c. Samaritan (AH-10) underway in San Francisco Bay, CA, between August 1945 and June 1946. US Navy photo # NH 98753, donation of Boatswain's Mate First Class Robert G. Tippins, USN, (Ret), 2003 to the collection of the US Naval Historical Center.